Sudan's northern government says it has taken control of the disputed Abyei region, raising the specter of a new civil war with south Sudan as that region prepares for independence. Amin Hassan Omar, a minister of state for presidential affairs, told a news conference Sunday that northern forces are clearing Abyei of southern army troops. A spokesman for the south's army, Philip Aguer, said the military was waiting to hear from southern government officials about how to respond. The aid group Doctors Without Borders said nearly the entire population of Abyei has fled the town. 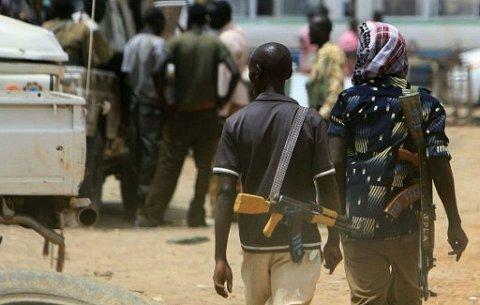 Violence between the north and south in oil-rich Abyei had escalated in recent days. The future of the region remains unresolved as southern Sudan gets set to declare independence from the north on July 9. The White House accused southern Sudanese forces of attacking the convoy and deplored the incident. But it has also condemned the Sudanese government's seizure of Abyei.